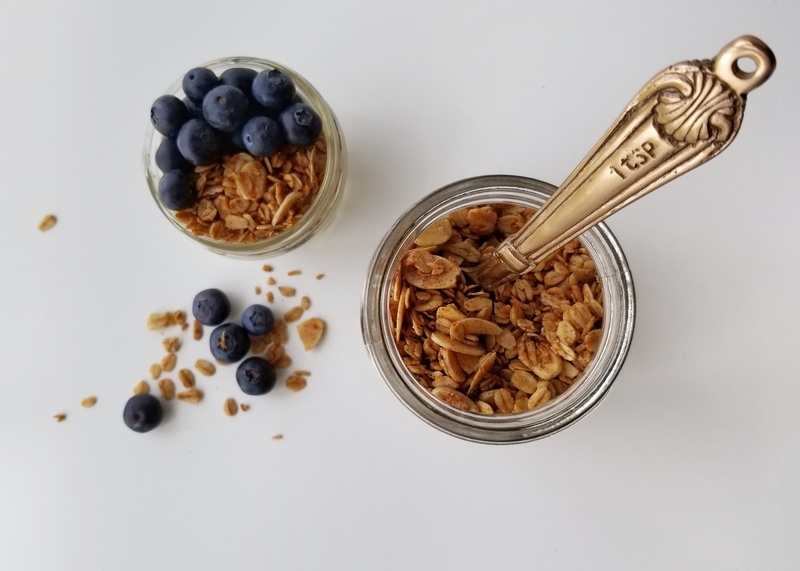 This quick and delicious homemade granola is filled with healthy, clean ingredients and is naturally sweetened with a dash of maple syrup. Pair this with milk, eat it by the handful or scroll down to learn how you can turn this into a high protein breakfast. Mix all dry ingredients in a bowl. One at a time, add wet ingredients. Mix well. Evenly spread granola on a large baking sheet. Bake for 45 – 60 min or until oats are lightly browned, occasionally stirring while cooking. Remove from oven and let cool. The granola will crisp up as it cools. Bonus! How to turn your Maple-Coconut Granola into a fast, healthy meal. 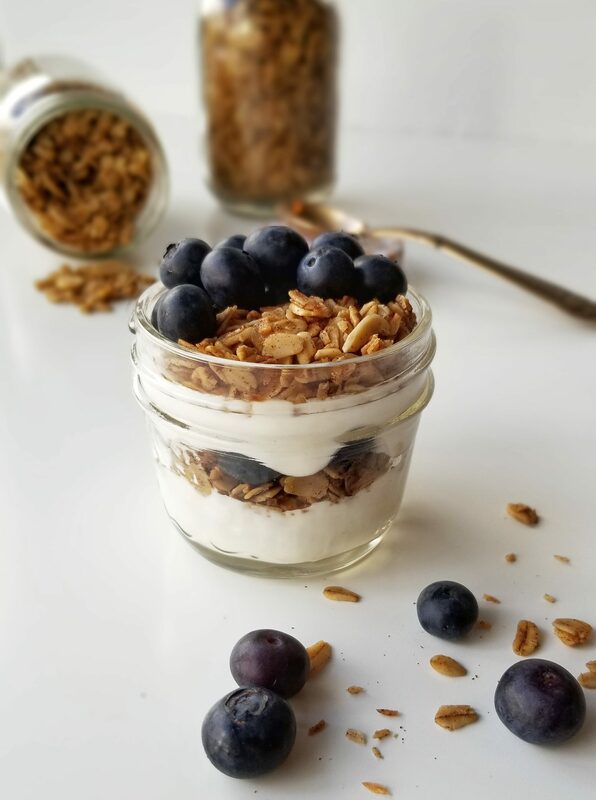 Layer 1/2 cup of plain greek yogurt, 1/4 cup Coconut-Maple Granola, and 1/4 cup of fruit to make a yummy snack to have at work or post workout.